Click the button below to add the Sea Falcon S Impact Jig to your wish list. Made in Japan with premium components and hand painted finishes, this jig is specifically made to be used when slow pitch jigging. 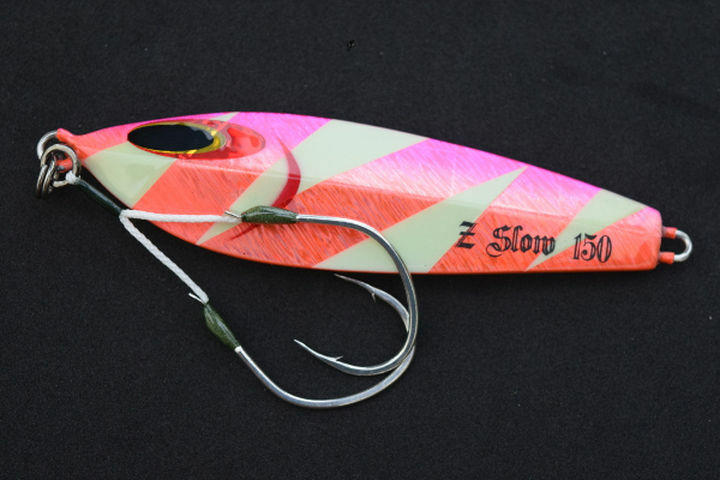 Differing from the Z slow jig, this lure has a more compact shape, with a much more asymmetrical belly. This lends this jig tp have a greater advantage in deeper water with long turns of the handle, though when jerked the jig will swim in a tight "S" shape. The 120g model is 3.5" long, the 160g model is 4" long and the 200g model is 4.5" long. Please note that the photos are not entirely representative of each product in terms of size, please contact us if you have any questions. Depending on the size of the jig, we recommend the following rigging, Shout! Twin Spark (2cm or 3cm depending on size of jig) with the hook size species dependent, and an Owner Ultra Split Ring #5 or #6. 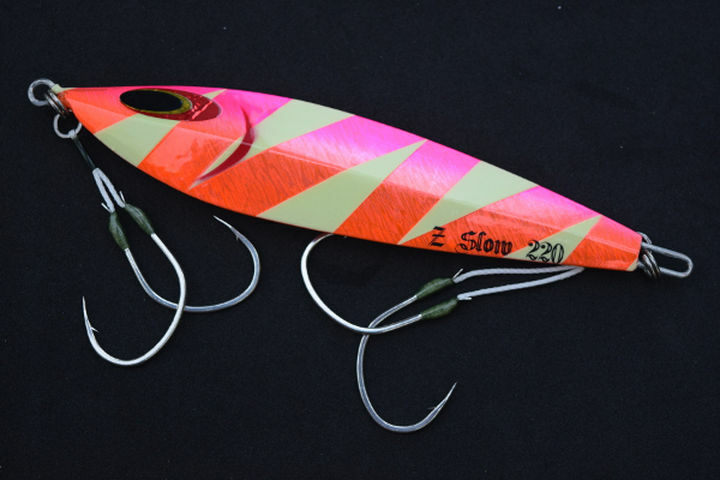 Below are photos of recommended rigging using the Z slow jigs with the rigging here being quite similar. However, if you have any questions on a particular jig feel free to contact us. We do not recommend a double hook set up as the jigs are too short and the hooks will tangle.